When you’re ready to accept the help you need to face and defeat your addiction, you can turn to one of the experts at our addiction recovery center. No matter what your individual circumstances, we can provide you with the tools you need to face substance abuse and come out on top. 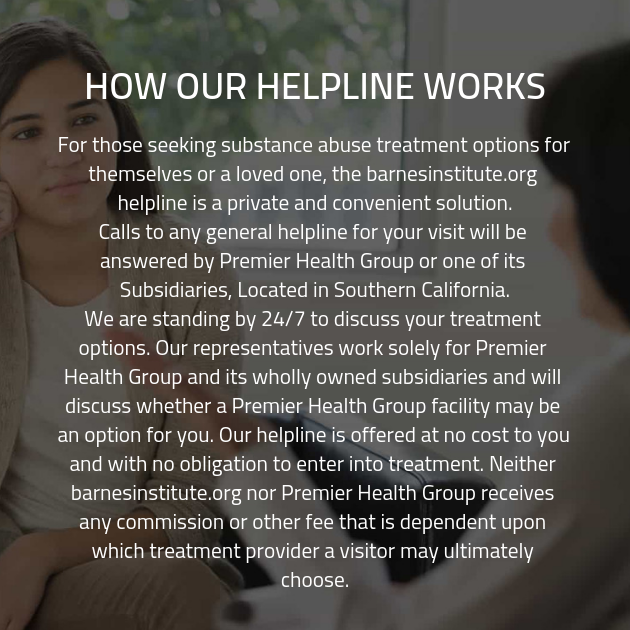 Contact one of our addiction specialists today, and they can answer any question you might have concerning treatment. Ⓒ Copyright 2017 Barnes Institute. All rights reserved.